Welcome to my newest venture into the writing culture. I’ve never written a formal book review, aside from my plagiarized reports about The Baby-Sitters Club and The Boxcar Children many, many years ago. Recently I was indirectly approached about the idea of writing a review for the first full-length book from author Andrew Miller, If Only The Names Were Changed. Never shy to try something new (totally kidding, I need to get back into my bubble immediately), I decided to give it a shot. So without further adieu, let me tell you all about it! It’s here! The time has finally come! 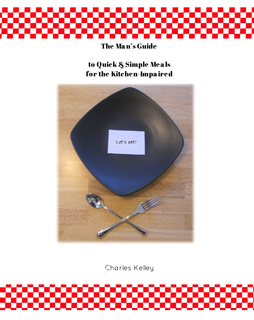 After 3 long years and multiple attempts to get it produced, The Man’s Guide to Quick & Simple Meals for the Kitchen-Impaired is released! This cookbook is written by a guy that can’t cook (me) for people who can’t cook. The recipes are very easy and basic to compliment the typical diet of fast food and frozen dinners. The perfect gift for somebody that’s about to trek out on their own, but might not quite be ready to feed themselves. 40 packed pages of practical help to get those millennials, bachelors, and dads through their next meal. Click the link above or check out the new Store Page at the top of the site to order a copy for you and everyone you know!